Description: The majority of Swiss manuscripts is held in larger collections, mostly in public and ecclesiastical institutions. It is easy to forget that some of the most important sources shaping the identity of Switzerland are found in collections that hold only a few manuscripts. 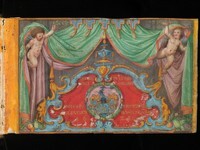 e-codices has taken it upon itself to provide digital access to these important treasures from small collections, the originals of which are often not available to the general public.